Tossed in olive oil, a little salt and pepper and A LOT of Spike Seasoning, a head of green cabbage and a bunch of halved mushrooms. Roasted on a sheet pan. I think the oven was at 400, for about 15min? 20? I don’t know, I checked on it every now and then. Meanwhile in a very hot pan I fried little sausages and onion. 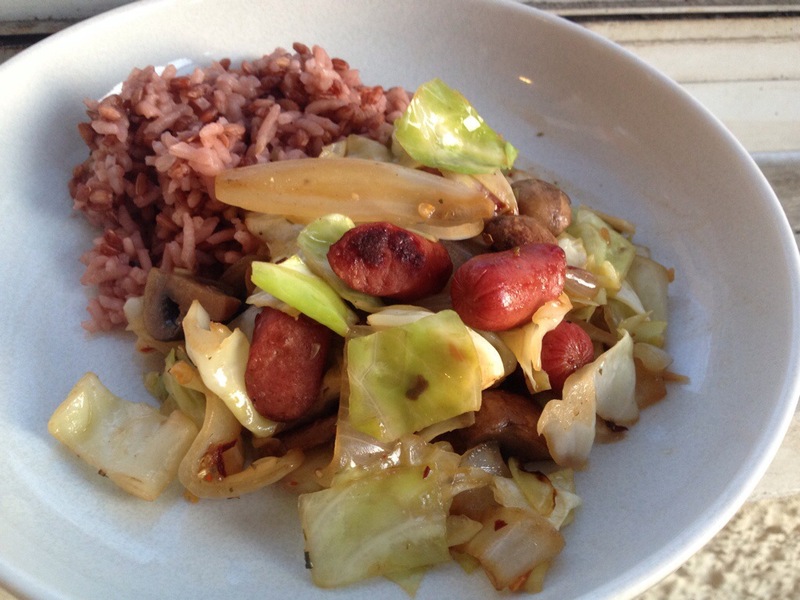 And made a combo of red and white rice in the rice cooker. Success! Really tasty, simple, and cheap. Of course it also does leftovers beautifully. Because life is crazy and if I’m going to spend time in the kitchen it better pay off for more than one meal. 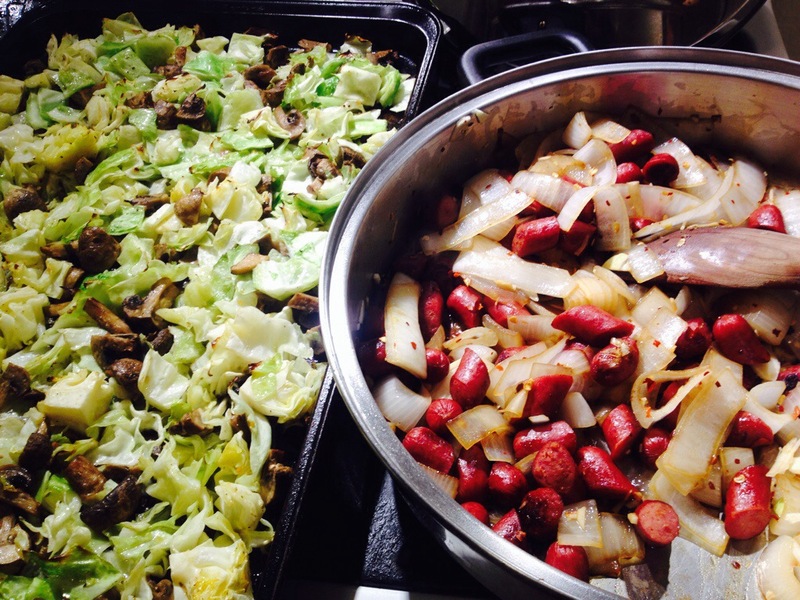 This entry was posted in Kym Cooked and tagged cabbage, cooking, healthy food. Bookmark the permalink.